Rainbow Chimes Early Education and Care Center is a high-quality education-centered daycare in Huntington L.I. We cherish the opportunity to work with children and take it very seriously. We use High Scope Curriculum that we feel gives children a headstart in life. We also care about what the parents of the children we care for. Recently we’ve gotten some great feedback and want to share it with you! One thing we’ve been praised for is our low teacher: child ratios. For infants, this ratio is 2:8. For toddlers, we keep it at 2:10 or 3:12. 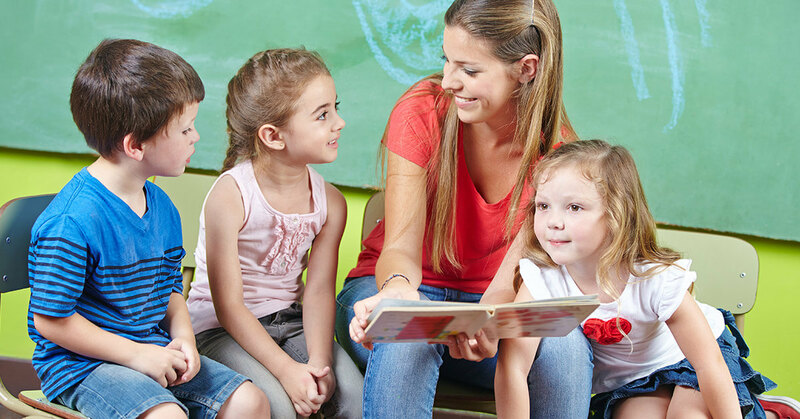 For preschoolers, it is 1:6 or 1:7 for teaching time. For the pre-k classes the ratio is 1:7, and for our all day kindergarten it is 1:7 or 1:9. Our schedule is built around the needs of real working families. Our kindergarten is closed only 9 days between September and June. We open at 6AM and close at 7PM and you can have your child attend for the hours for which you need coverage. We also have before and after school care. We have agreements with a number of area employers to provide emergency care for children. To learn more about our quality daycare, contact our office and schedule a tour of our great facility! We’d love to meet you!